It's Saturday and therefore time for a new RetroSketch challenge! This week's sketch is based on an old card of mine that I made for Mother's day. You can see it here. I used the new TAWS set Breakfast Club. I just love all of the fabulous coffee related images. Please head on over to the RetroSketches blog to admire the creations Arielle, Laurie and our headliner Katie have made for your inspiration. Love it! 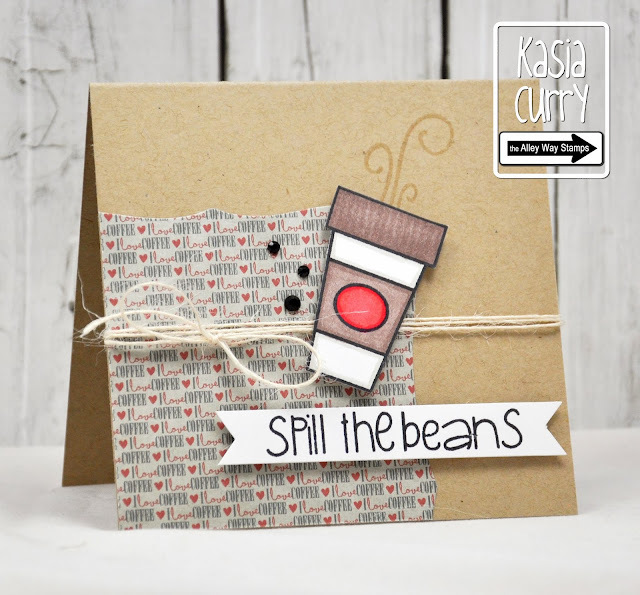 Spill the Beans, awesome! I so wish I had time to do Retro Sketch again! One day!